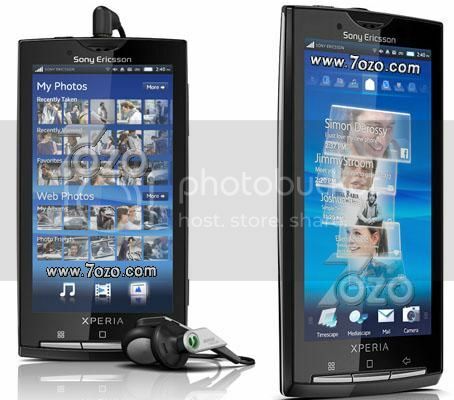 Sony Ericsson has released a further four support videos for the Xperia X10 Android smartphone. This follows from the previous four videos that covered getting started, messaging, contacts and web browsing. This time around the support videos concentrate on setting up email accounts, setting up an Exchange account, transferring media and the last video looks at connectivity options (Bluetooth, Wi-Fi etc). You can check out all of these new videos after the jump. is it possible to set up hotmail in x10? iv had my x10 for months now have looked all over the internet trying to find some way of getting my hotmail acount to work. ll i found where people with the same problem and no salution. im starting to think it will never hapen. I was having the same problem but this will solve it!! I setup my hotmail account on my X10, but the phone automatically update my emails only on power-on, even though it set it to check every 5 mins. Had my phone for two days and am struggling to sync my hotmail account. managed to set up a google mail account by creating one and am debating transferring my contacts there from hotmail. For anyone else who is trying this is how far i have got. enter into phone, incoming is fine but X10 will not accept the outgoing details!!! aaagh very frustrating. I f anyone suceeds please let me know how to do it. i have had my x10 for a few weeks and cant sync it to my outlook account i can do the incoming server but not the outgoing server. any ideas? Whenever i transfer video (movie) to my phone it shows no space on memmory card but actually there is ample space on the card. How do i solve the problem? Please note EXPERIA 10 that i purchased in Australia on 22 March has no AUTO INTERNET SETTING I had problems to configure settings for Internet , MMS and Email and operator Virgin mobile could not even provide me manual Network settings nor Email proxy settings. Australian Regulators are sleeping and not enforcing regulation where each operator has to supply to each customer Network settings as it is done in other countries. Now I have great phone totally useless for Internet via mobile network all I can do is use it at home or office where the Wi-Fi is available. I had hotmail on my x pro but now I cant send emails? But am still receiving them. Can anyone help? I can’t find message settings on my xperia x10 mini, any help? I have the Xperia as well, for a long time now. People say hotmail doesn’t work. Mine is fine…. HI,I AM AASHIYA I HAVE SONY XPERIA X10 ,I HAVE SOME DIFFICULTY RELATED TO CONNECT BLUETOOTH INTERNET BY MY LAPTOP,MODEM WERE NOT FIND BY MY LAPTOP ITS PAIRED WITH MY LAPTOP BUT MODEM NOT SHOWS ON LAPTOP………SO PLE SUGGEST WHAT SHOULD I DO TO USE INTERNET BY MY PHONE TO LAPTOP THR BLUETOOTH?